The Program, administered by the Alberta Electric System Operator (AESO), seeks to add 5,000 megawatts of renewable energy capacity to the grid by 2030 as part of Alberta’s Climate Leadership Plan. Maurice Law Senior Associate Crystal Fafard has long been working with the Province to incorporate Indigenous perspectives and interests in the Program’s development. As Co-Chair of the First Nations Power Authority, Ms. Fafard has fostered Indigenous involvement by facilitating policy discussions on energy issues and economic development between the government and Indigenous communities. The first round of Program bidding attracted about $1 billion in private-sector investment in green power generation in Alberta. The second round will see companies partner with Indigenous communities to provide 300 megawatts of renewable energy to Alberta, which is enough to power over 100,000 homes. This is the largest call for renewable energy in Canadian history. Each bid in the second round will have a minimum Indigenous equity component, which can include an ownership stake in the project or a land use agreement with communities. These agreements will help create jobs and economic benefits in Indigenous communities across Alberta. The third round of Alberta’ Renewable Electricity Program will add about 400 megawatts of renewable electricity and follow the same open competition format as round one. AESO is expected to open auction-style competitions this spring, with successful bidders announced by the end of 2018. 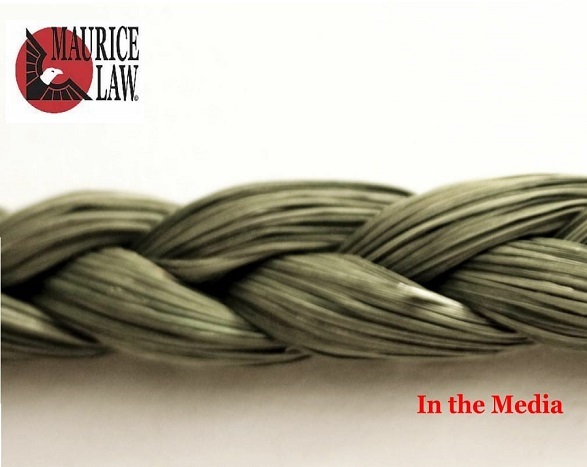 For more information, please contact Ms. Fafard at 306-986-1559 or cfafard@mauricelaw.com.